If you have a big lawn, a cute little portable leaf blower will probably not do you any good; when the size is large, it's time to call in the big guns! A walk-behind leaf blower is great for heavy-duty work. They get their name because they are operated by walking behind them and pushing by hand, given their size and power. In this roundup of the best walk-behind leaf blower reviews, we'll analyze the best walk-behind leaf blowers on the market today. What Are the Advantages of Using a Walk-Behind Leaf Blower? What is a Walk Behind Leaf Blower? A walk behind leaf blower will remind you of a lawnmower. The blower and engine mount are placed on a frame with wheels, allowing the user to push it around the yard. Users don’t have to worry about the weight and size of the engine like you might with a backpack blower. Many walk-behind leaf blowers also have other capabilities. They might act as a lawn vacuum or a mulcher. The number one thing you should look for when shopping for a walk-behind blower is performance. Would buying such a machine to reduce labor and increase your profit? Backpack blowers may be very detailed, but the walk-behind blowers produce up to four times the air in backpack blowers. When selecting a leaf blower, you have to consider the airflow as well. Companies measure the air speed of their blower by using miles per hour (mph) or cubic feet per minute (cfm). Most models range from 100 to 230 mph, or 100 cfm to 1,000 cfm. The air volume generated is important. It will determine how much yard work you can complete during your work time. Manufacturers have to find the correct balance between air volume and velocity because, in most wheeled blowers, more volume will decrease velocity. The design of the blower is another important point to consider. The unit weight should be top in line. There's no point of having a high performing blower if your workers get tired quickly. Find out if you or your staff members can comfortably push the machine. Ensure that it's easy to load or unload or even roll over a curb. Also consider that walk behind blowers need large rear wheels. A swiveling front wheel makes it easier for users to navigate through tight areas or over difficult terrain. The correct wheels also allow you to determine which way you will send the debris. This is a common point in blower reviews; one cannot go without the other. Leaf blowers are constructed differently and produce different levels of noise depending on their construction. There have been recent advances in the housing and fan design of leaf blowers making the the decibels go down a notch. Check out the decibels listed on the machine. 65 decibels is quiet! However, anything higher than 100 decibels could and will disturb neighbors. The decibel level also determines what type of ear protection you should wear! Although with the latest designs, it's possible to use a walk-behind blower first thing in the morning without getting an angry call from the neighbors. Fumes should also be regarded in the same way. Fumes and noise are both harmful to the environment so they should both be taken into account before the consideration to buy. There are governmental entities that regulate both noise and emissions. Some blower manufacturers use shock mounts to isolate vibration. There are others who design the base of the engine to deflect the vibration further from the handle. Whatever the case, ensure that you or your staff are comfortable operating the walk-behind blower. You also want to look at the handle of the leaf blower. A soft grip makes it more comfortable to push, especially if you happen to have a lot of land. A walk-behind leaf blower won't be as comfy as a cordless leaf blower, but it'll surely be way more powerful. Leaf blowers are classified as commercial grade/semi-pro, mid-grade or entry-level. Entry-level leaf blowers are capable of clearing driveways, patios, and gardens. However, if it’s you own yards, it's probably best to consider something bigger. Trying to clear anything over 1 acre with less than 450-500 cfm may be a bit problematic. An entry-level model offers you more power than a backpack blower, but with a lower price. Remember, they won’t be as powerful as commercial-grade models! A mid-grade unit is ideal if the entry-level isn’t as powerful as you want. Companies add some extra features and a bit more power to these ones. A semi-pro leaf blower is still for non-commercial use. If your property is covered with trees, you will love a semi-pro. They can move wet, thick blankets of leaves with ease. This style offers more power and features. Commercial-grade leaf blowers are for those with businesses or those who plan to use them every day of the week for hours on end. They can move almost any type of debris you will encounter. This type is also the most expensive because they are the most durable. Often, walk-behind blowers have extra features, which complement the main features. There are many of these features, but the most useful are mulching and vacuuming. One of the best built-in features I've seen on these tools is the ability to mulch and collect the debris in a bag. These attachments come with a built-in impeller that minces leaves into smaller pieces. Then, it acts as a walk-behind leaf vacuum mulcher, sucking up the leaves as you go. A walk-behind leaf vacuum is an awesome, secondary function that is truly useful, especially if you compost! A steel impeller is the best choice because it allows you to mulch almost anything without breaking. It can collect all types of items, such as bottles, cans, straw, pine needles, gravels and more! As you research different leaf blowers, you will notice there are gas-powered leaf blowers and electric leaf blowers. Almost all wheel blowers are gas leaf blowers, but you might be able to find a few that are electric. Using an electric leaf blower means you are restricted based on the length of your extension cord. Electric blowers are typically quieter and weigh less than gas-powered blowers. On the other hand, a gas leaf blower is more powerful and finishes the job faster. However, gas-powered blowers are heavier and require you to fill them up with gasoline. Gas powered leaf blowers dominate the market. Most professional and commercial choices run on gasoline. They have larger motors than the contemporary leaf blowers. This makes them much stronger that the backpack or handheld versions. Walk-behind leaf blowers can resist great amounts of wear and tear compared to the other leaf blowers. The commercial walk-behind leaf blowers can be used every day in the week for several hours without experiencing breakdowns. Most walk-behind models have a directional blower. It allows you to aim at wherever it is you want to blow the debris. This makes the job of blowing so much easier and faster. Purchasing this style of leaf blower is going to save you a lot of time, especially if you have an acre or more of land. It also reduces the amount of physical effort you have to put forth. There is a smaller risk of injury or hurting your back. This style of leaf blower tends to be more costly than other styles. If you aren’t using the blower as a professional or for a large piece of property, it may not be worth the extra cost. You don’t want to purchase these without consideration! 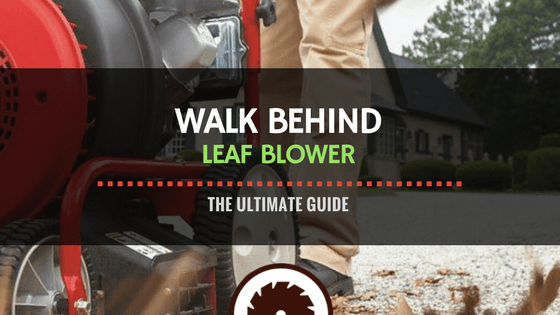 A walk behind blower requires more maintenance than a normal leaf blower. This disadvantage is because there are additional parts and a complex system. ​Walk-behind leaf blowers are used to blow grass clipping, leaves twigs and other debris from large lawns. It may seem difficult to blow leaves when there's a breeze, but really, you can work it out. The key is to blow in the wind's direction and not against it.It's best to start the process at your yard edges. This includes beneath trees and shrubs. Blow the debris inward toward the center of the yard. You should divide your area into small sections that you can easily work through. Direct the debris towards the different piles instead of concentrating on one corner. Bag the piles ready for disposal. Adjust the power settings according to the surfaces. It's easier to work on hard surfaces like the walkway or driveway, so a lot of power isn't needed in that situation. 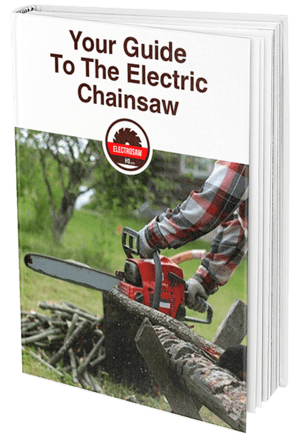 However, moving through the rough lawn may require an increase in power.Differences between walk-behind Blowers, Handheld Blowers, and Backpack Blowers. Don’t try to use your new leaf blow as a snow blower. It is not meant for the snow! Never start or stop on a slope. The tires could lose traction. Don’t leave the operator position without turning the machine fully off. Accidents, including those with children, happen when left unattended. Avoid areas with drop-offs, ditches or steep embankments. Always check for recalls! The company might provide replacements parts, free of charge. Walk-behind leaf blowers are a force to be reckoned with. The following are the best gas leaf blower reviews in 2017. The Troy-Bilt name is synonymous with performance, both effectively and efficiently. For it to run at optimum levels, it runs on an overhead valve engine that's 208cc and blows a stream of air at 150 mph to get rid of the debris in your yard quickly. It is comfortable on the hands, thanks to the rubberized grip handles and its wheels move easily. It uses a 90-degree chute that's front discharge and a high output impeller that's 14-inches, to effectively complete the job. It has a 100 cfm volume capacity to ensure proper air ventilation. The engine is a 208cc OHV, which runs on a gas/oil mix. The Troy-Bilt has a large fuel tank that lets you finish almost any property without stopping for a fuel refill. The maximum airflow has a velocity of 150 mph, but its high-output impeller alludes more power to the Jet Sweep. The machine comes with a 2-year warranty. The little wonder walk-behind leaf blower intended audience is homeowners. However, because it is bulky, users generally prefer backpack blowers to it, and commercial users prefer high powered blowers. It would, however, work better in a commercial setting. It's quick and easy in clearing out leaves and debris from large yards and along driveways. It's great for sewage grate and runoff gutters. It moves more than just leaves and twigs; it can also blow away water and light snot. Its adjustable handle and padded grips add on to its ease of use and its wheels have been specially designed to create stability. Like many walk-behind blowers, the little wonder has a 2-year residential warranty and a 90-day commercial warranty. The engine is warranted separately by the engine manufacturer. The Little Wonder has a powerful engine and has an air velocity of 200 mph. It has a displacement of 170cc and a large fuel capacity of 3.6 liters. You can adjust the chute into multiple positions without needing tools. The Billy Goat walk-behind leaf blower KV range of vacuums is designed for rugged outdoor use. The vacuum can handle suction of different types of debris, from cigarette butts to grass clippings. It can even pick up large items such as pine cones and cans. It comes along with a zipperless bag for storing debris that simplifies the unloading process. The bag holds up to 40 gallons, and the bag's mesh is replaceable if you want more strength. It makes tiresome tasks enjoyable and does a proper clean up in a snap. It also comes with a dual choice of engine, either a Honda engine or a Briggs and Stratton engine. The bag’s mesh material is replaceable. If you are a residential user, with simple yard work to finish up, the KV600 would be an ideal choice. It is also the best commercial walk-behind leaf blower. The KV Outdoor Vacuum can also be equipped with a hose system. It provides better access in hard to reach areas. It comes with 1-year warranty while its engine has a two-year residential warranty/ 1-year residential warranty for commercial use. The cbv-2455h chipper shredder is powered by a Honda engine, which is easy starting and quiet running-GX series commercial engine. Ideally, it's suited for a property owner who has an acre or less and his/her primary intent is to eradicate the leaves from the lawn then shredding them to reduce volume. It also can get rid of small 2-inch diameter branches. It is both blower and vacuum, and it converts to either or the other with a flip of the lever. It can clear a 24-inch path, which is rather wide, in just one pass. Fallen branches are chipped when fed into the cone. It has quiet, smooth, fuel efficient power that makes cleaning up a piece of cake. The CBV2455H is CARB compliant. It has a balanced fan that has minimal vibrations. The leaf blower's front swivel wheel and the two rear wheels, 12 inches each, make the machine easily maneuverable. From a large lawn that's filled with dried leaves to a parking lot that's flooded with debris, these walk-behind gas powered leaf blowers will get the job done and remaining cost effective on top of it. It is EPA certified and has a 2-year warranty. A walk-behind blower is one tough machine and is not for the weak-handed. Out of our list, the Troy-Bilt TB672 208cc Jet Sweep Wheeled Leaf Blower steals the show in the walk-behind leaf blower review. It has been rated to be especially quiet, and its power rating is top notch. It's easy to start and easy to maneuver. It's four full sized wheels enable the unit to be pushed in all directions and saves time and effort. Compared to all the other walk-behind leaf blowers, the TB672 proves to be the best walk-behind leaf blower. It isn't a letdown and is a joy to work with. However, you are not limited to that one specific blower, feel free to choose the one that best suits your individual needs.